Once installed and activated you can set up your booking addon by following the below user guide. NOTE: Bookings addon require tickets addon to functions. Head over to Events from wp-admin and click on the event that you want to add booking time slots. 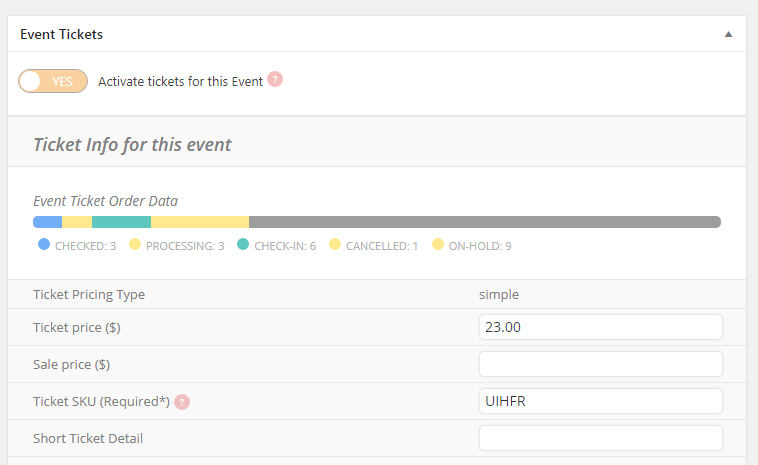 Fill in the basic information: Activate ticekts for this event, enter default ticket price, SKU. Then enter other event information under Event Details. Click save changes or update under publish box on right side. Enable booking blocks for this ticket. And click save changes on the page again. Once you do this you will see Booking block manager button. 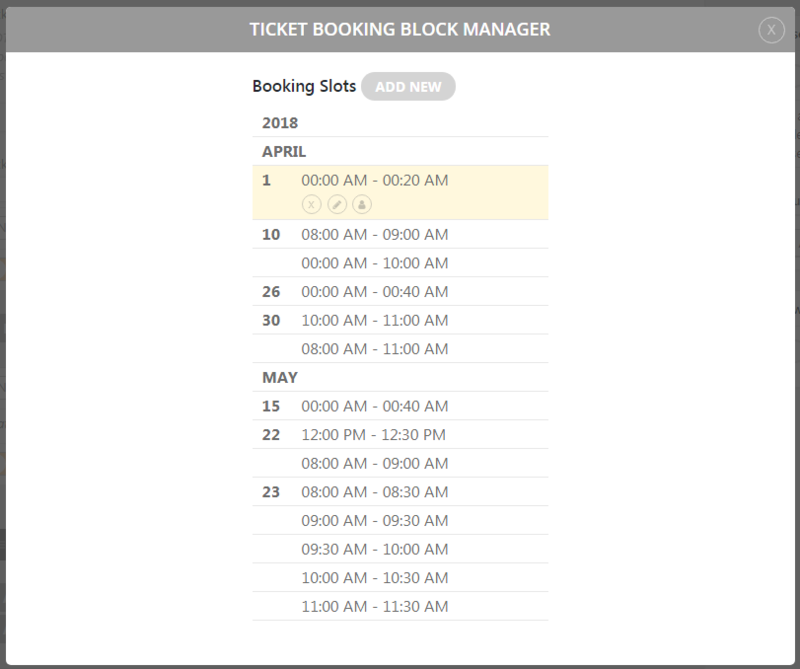 In the Booking block manager lightbox you can add a new booking block. Block start and end – you can enter the booking block start/end date and time. 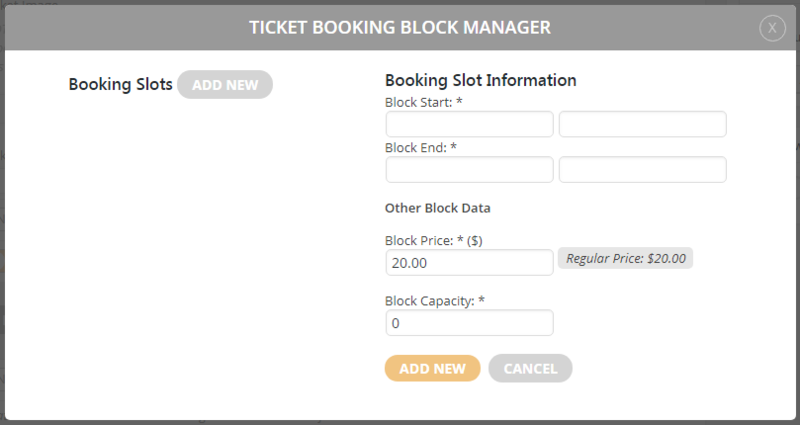 Under Other Block Data you can enter cost for one ticket or cost for 1 space in the booking block. And then block capacity, which refer to how many people can be reserved for this one block. 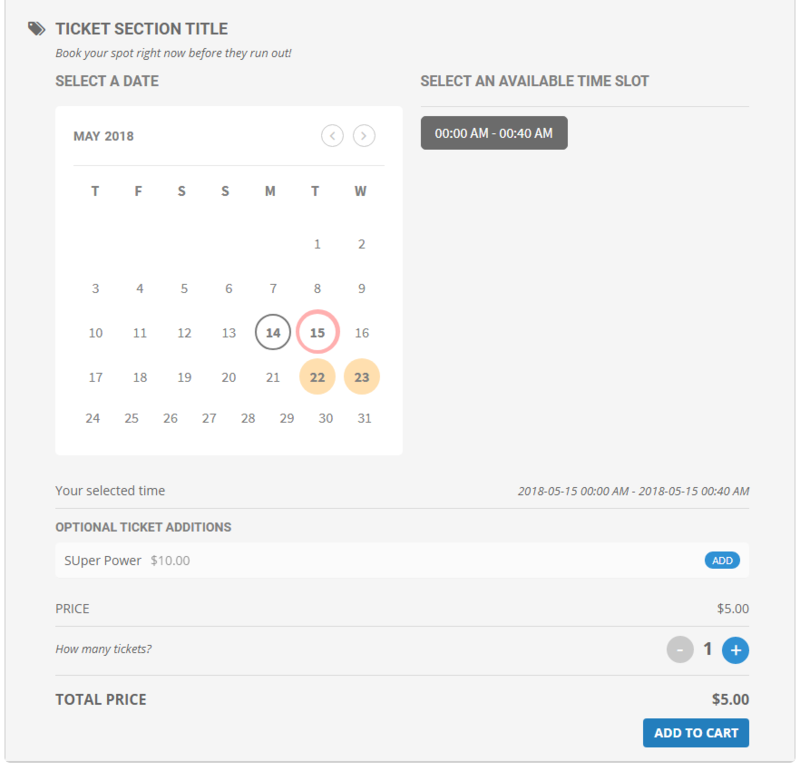 If you use our Variations & Options addon, which is compatible with bookings addon, you can also add booking block variations and extra ticket price options to each booking block. Eg. things like different booking block price for Kids vs Adult can be achieved with Variations & Options addon in combination with Booking addon. 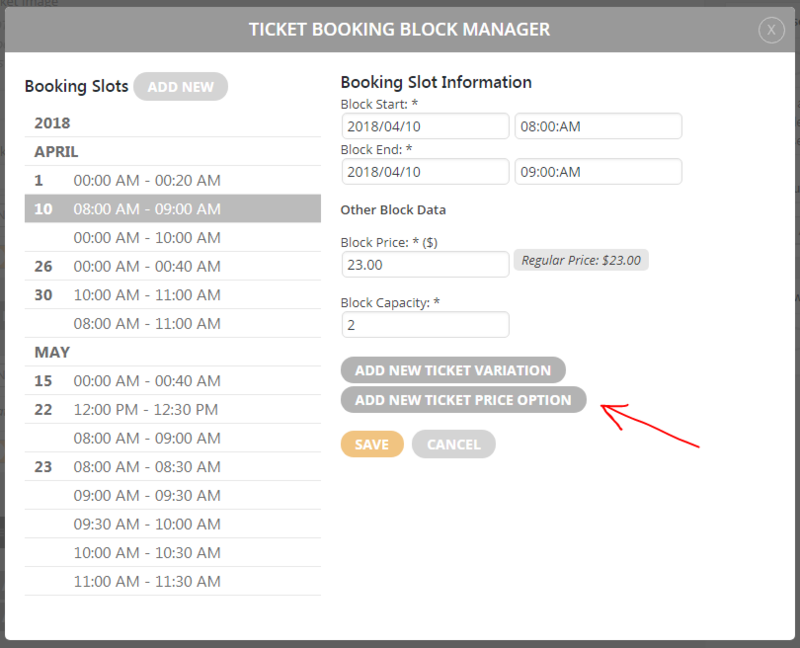 Once you have added several booking blocks, you can easily delete, edit or view attendees per each booking block by hovering over each block. 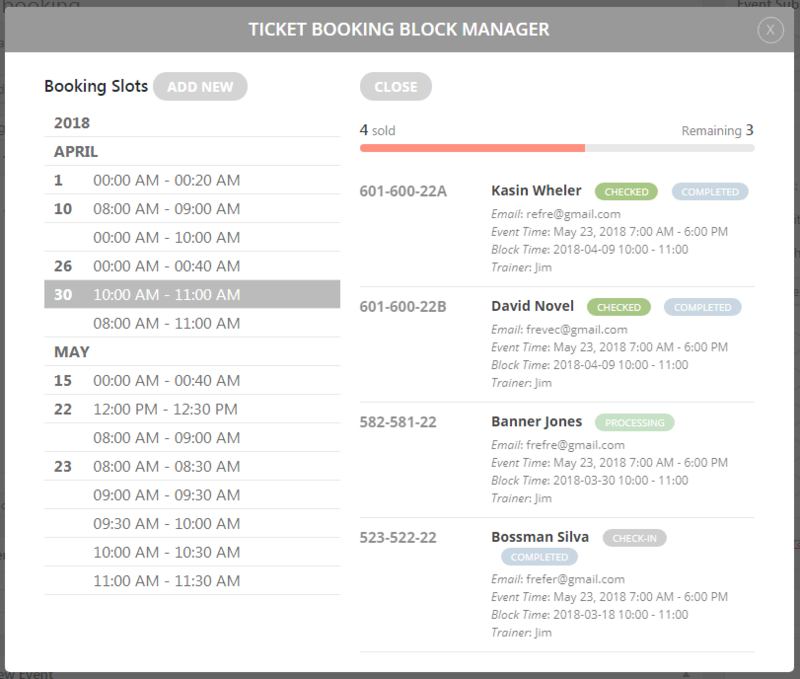 When you hover over each booking block and click view attendees you will be able to see all the attendees for just that booking block. From here you can also checkin guests for completed orders. View attendee list will show other attendee meta data as well, if available. On the front-end of the calendar your visitors will be able to see an amazing looking calendar with available booking dates highlighted. Once clicked they will be able to select the available booking time slots for that date and add them to cart.